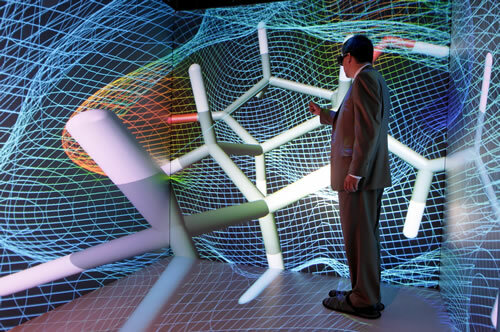 Mechdyne Corporation is the world’s largest company dedicated to consulting and development of immersive, networked and collaborative visualization systems. Mechdyne’s subsidiary Fakespace Systems Inc. applies the skills acquired over 18 years of innovation and market-building experience to offer the industry’s broadest range of large-scale and immersive displays and interaction technologies. The Flex, already referred to in my prior posting Serious Games Improve Mathematical Abilities Of Deaf Children, is the world's first commercial re-configurable visualization solution for those whose viewing, collaboration, and presentation requirements cannot be met within the confines of a single visualization technology. Its innovative hinged wall design allows a single person to quickly reconfigure the space as a long, flat wall display, an angled immersive theater, or an immersive room. Multiprojection walls are available using optional state-of-the-art edge blending to allow for very high resolution seamless images. 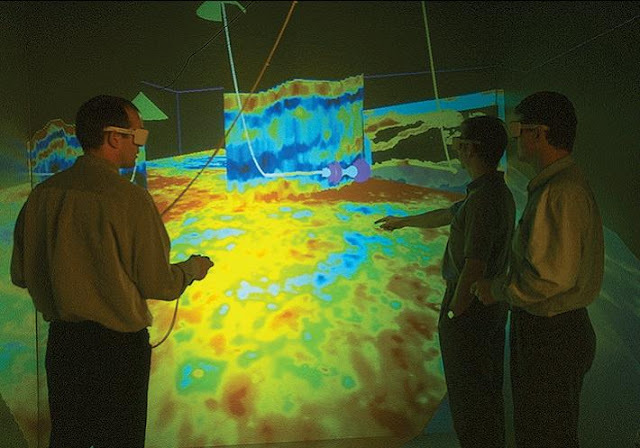 CAVE® (an acronym for "CAVE Automatic Virtual Environment") is a room-sized advanced visualization solution that combines high-resolution, stereoscopic projection and 3D computer graphics to create the illusion of complete sense of presence in a virtual environment. The CAVE® was the first virtual reality technology in the world to allow multiple users to fully immerse themselves in the same virtual environment at the same time. 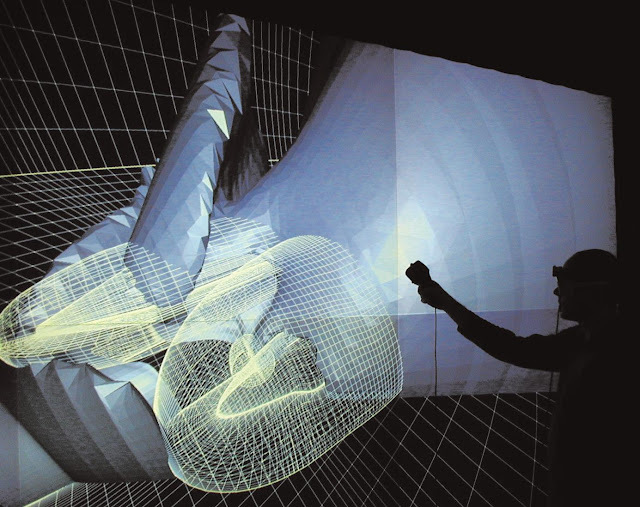 CAVE is the most widely installed fully immersive visualization system in the world. Engineers from Sun Microsystems and Fakespace Systems created this awesome immersive virtual environment that looks very much like the Holodeck in Star Trek! Today, more CAVEs are installed in visualization facilities around the world than any other spatially immersive display system. The CAVE® is available with four projected surfaces (three walls and floor); five surfaces, or fully enclosed six-surface configurations for complete virtual immersion. The PowerWall™ is ideal for design team collaboration and group presentations. PowerWalls are scaleable with two or more channels that can be edge-blended or edge-matched to create an incredibly high resolution, seamless image. Whether applications are reviewed in active or passive stereo, realistic 1:1 scale models and environments can be presented in highly accurate detail in sizes up to floor-to-ceiling. Fakespace Systems originated in 1988 as a pioneer in the development of immersive visualization and virtual reality technologies for research and commercial market applications. The founders of Fakespace believed in the premise that visualization systems should be “intuitive, easy to use and comfortable.” Based on this, Fakespace Inc. created many of the industry’s first major interactive breakthroughs, including the first commercially available virtual reality system, the BOOM™, and the first commercially available gesture recognition system, the Pinch® Glove. 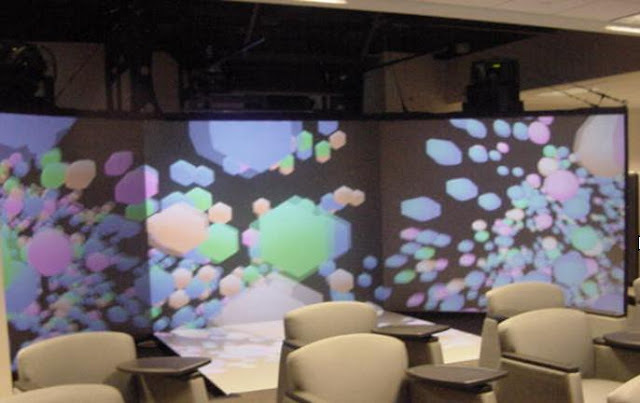 Also in 1988, a Detroit-based audiovisual company called Pyramid Systems was starting to see demand for projection technology to be utilized for collaborative meeting rooms. As CAD and other applications evolved into 3D graphics, Pyramid was there to help customers integrate the latest technologies into their enterprise to improve their workflow. 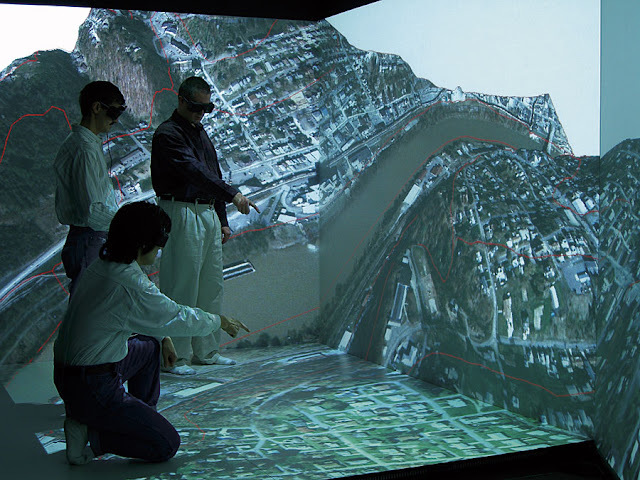 In the mid-1990s, Pyramid Systems created the first commercially available projection-based immersive visualization technologies, including a CAVE® and a desk-style display system. 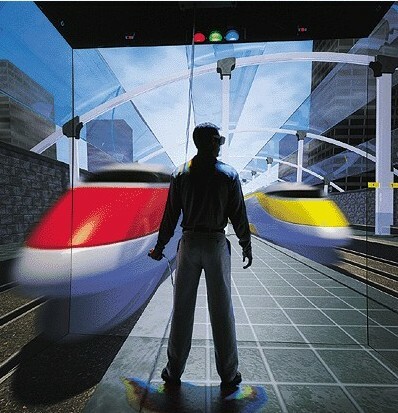 In 1998, Electrohome Limited, a developer of projection technologies and a supplier to both Fakespace Inc. and Pyramid Systems, formed its own visualization group and made an investment in Fakespace Inc. for the purpose of growing the market for visualization technologies. In 1999, Electrohome acquired Fakespace Inc. and split the company into two entities; a systems and solutions group called Fakespace Systems and a research and contracts group called Fakespace Labs. Shortly thereafter, Fakespace Systems acquired Pyramid Systems. In 2003, Mechdyne Corporation acquired Fakespace Systems in order to create the largest company dedicated to providing large-scale visualization solutions. The combined company has a wealth of experience in consultation, design, installation and servicing of hundreds of solutions for clients such as Northrop Grumman, NASA, Boeing, Conoco Phillips, John Deere, and the U.S. Army and Navy. 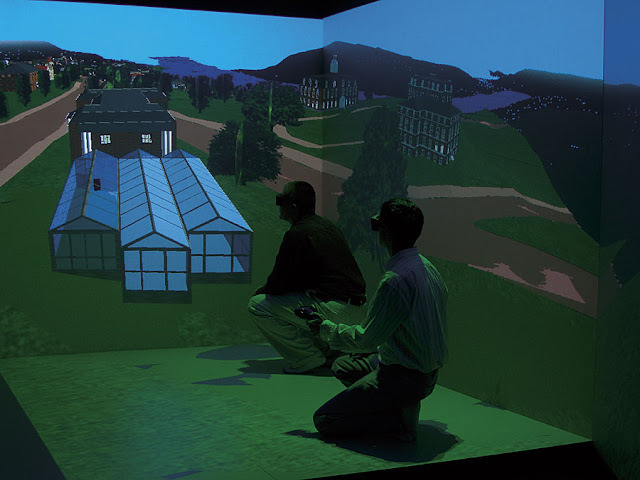 In 2005, Mechdyne acquired VRCO, Inc., a developer of interactive 3D visualization software. The addition of VRCO’s rich history and expertise, in conjunction with Mechdyne’s acquisition of Fakespace Systems reaffirms the company’s position as the world’s largest and most comprehensive dedicated visualization company, with a reputation for exceptional services and support, the industry’s most recognizable brands and the largest installed base of advanced visualization systems in the world. Fakespace and VRCO brands are maintained under the Mechdyne parent company with the Fakespace division focused on large-scale audio/visual system integration and the VRCO division focused on computing systems and software products and services.